Arboriculture or Urban Forestry is relatively young industry. Traditionally many people started their careers working on the tools, then progressing into local authority work as a Tree Officer or by going into private consultancy. As the industry has grown and the importance of trees has become more widely known, so has the variety of roles available. As there is no set path into the industry, the route you take is completely up to you. Qualifications and training ranges from apprenticeships, short courses, seminars, workshops, further education courses, and undergraduate to masters degrees, there’s an option for everyone. One thing is for certain, you will never stop learning! By having a healthy working life that involves getting out into nature, whilst being able to have a positive impact on our towns and city’s green infrastructure, it’s no wonder that more people are looking to arboriculture as viable career change option. Arboriculture is like many other industries in terms of a lack of female representation. 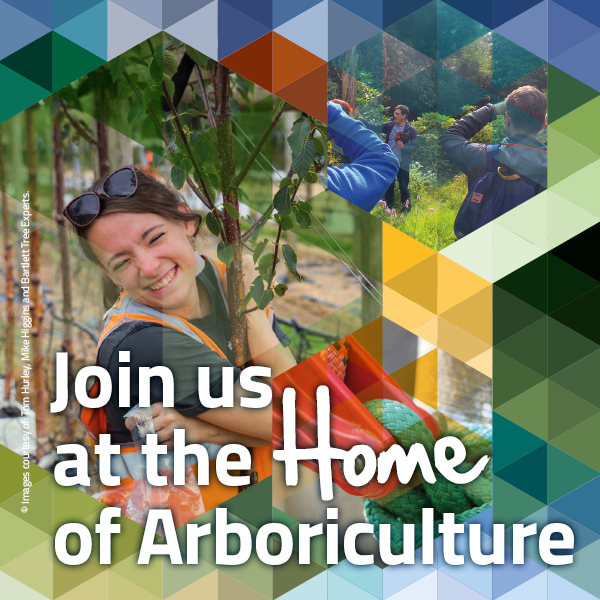 The Women in Arboriculture group was set up with the aims of promoting the industry at entry level, supporting women already in the industry by helping them to grow and develop their skills and supporting a culture change regarding diversity. But it’s not just about being female, we want to encourage a diverse and inclusive working environment for all. CAN I REALLY WORK WITH TREES? There are so many routes into the industry, whether you’re looking for a career change or just starting out on your journey, there’s an option for you!